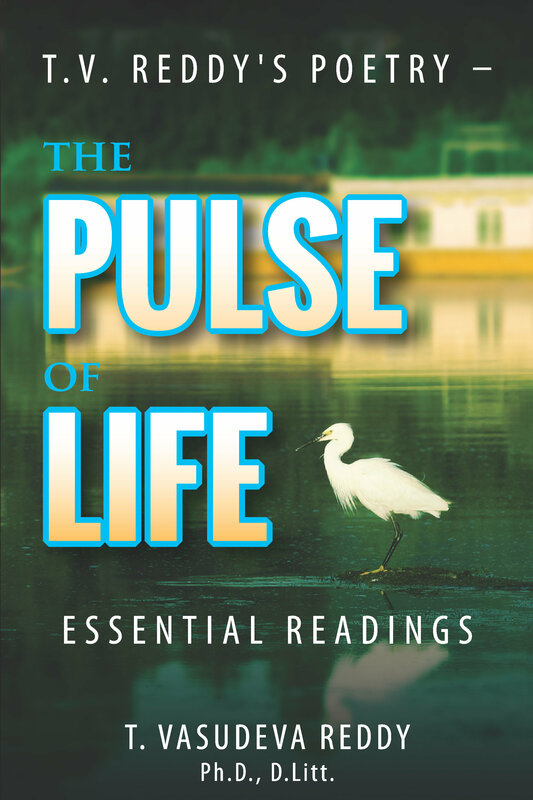 The Pulse of Life: Essential Readings is a representative collection of the poetry of T. Vasudeva Reddy, a luminous star shining in Indian English poetry. His poetry is a pleasant blend of the traditional and the modern, the realistic and the romantic, the symbolic and the imagist, the urban and the rural, satirical and lyrical streams of poetry. His poems cover a wide thematic pattern ranging from the remote village to the global level, a bewildering blend of rural and global life. Whoever wishes to have a glimpse of the reality of the Indian rural scenario and see the struggles and sufferings of poor farmers can go through the poems of T.V. Reddy. Poems, spread over eleven volumes till now, and spanning 35 years, are now collected for the first time ever in this Essential Readings edition. "In the vast desert of Indo-Anglian poetry, it is quite refreshing to see the life-giving oasis of Reddi's poetry which at once resuscitates and invigorates even a slumbering mind. His poems are as immortal as the frescoes of the famous Ajantha caves in India." --Dr. Edith Rusconi Kaltovich, N.J.
"My attention is sometimes arrested by the striking imagery and phrasing. The poet has a keen eye to mark the exceptional whether in life or nature." "In his poetry we find concrete examples of poetic excellences that distinguish him from other Indian poets and reserve for him a permanent place on the Indian Parnassus. Every poem is a nugget of thoughtful fancy studded in the fabric of the poet's pageant of poetic filigree." --Dr. D.C. Chambial, Editor, Poetcrit, H.P. "Like a gifted sculptor he chisels his poems with the deftness of a master craftsman."